I’ve always been intensely curious about how the world around me works. From asking my Dad as a young child how gasoline made the car go to learning how a turbo-fan engine generates thrust in Air Force Aircraft Maintenance School, I have been passionate about understanding the principles behind how things work. As a believer in the Lord Jesus Christ and a student of God's word, this life-long quest has led to the discovery of underlying truths that go beyond the standard arguments of competing points of view that sometimes divide Christians. 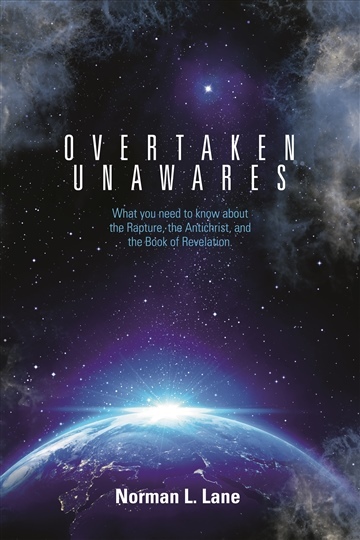 This is especially true concerning the subject of the return of Christ and related issues like the rapture, the Antichrist, and the Book of Revelation. Much of what I have discovered is not well known, however, leaving many people unprepared for events that are about to hit the world like a run-away freight train. My desire to address this urgent need is what has motivated me to write OVERTAKEN UNAWARES.